It is not a fiction. It has covered everything about being a Jew. With wit and humour. How cool it is being a part of it and what to do when. 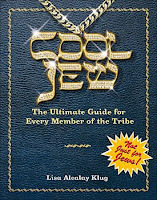 It gives tips how to behave during festive seasons..both Jewish and others. I breezed through the book, learning many things from it.